Dr. Christine Orengo opened Noah's Ark in 1999. She received her undergraduate degree in Biology from Rice University before she graduated with honors from Texas A&M College of Veterinary Medicine in 1994. She is an active member of the AVMA, TVMA, and HCVMA. Dr. Orengo enjoys all aspects of veterinary medicine but is especially interested in soft tissue surgery, and internal medicine. While Noah’s Ark is predominantly a small animal practice, Dr. Orengo finds great satisfaction in furthering her education into the world of exotics. 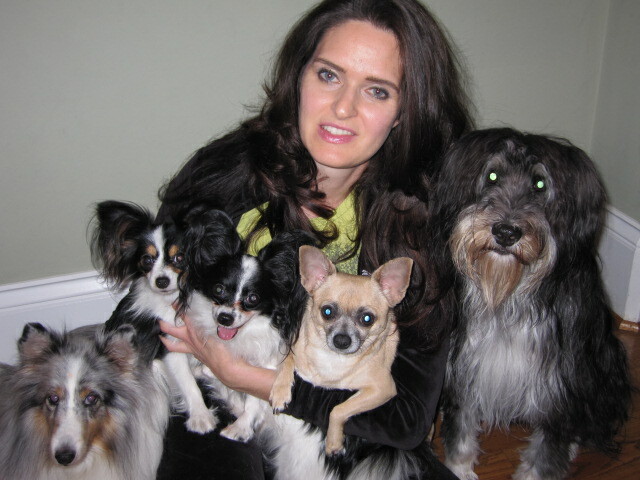 When Dr. Orengo is away from Noah’s Ark, she enjoys spending time with her family and furry friends. Will began working working at Noah's Ark in 2001. 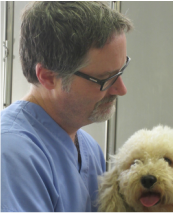 He was promoted to head vet tech in 2005 and is our most experienced veterinary technician. Before starting at Noah's Ark, Will studied Archaeology and History. Always the animal lover, he has an affinity for birds and bugs as well as cats and dogs. Will is a new father and has 2 dogs and a parrot. 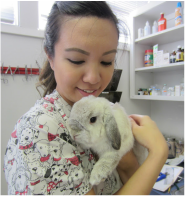 Monna graduated from the Vet Tech Institute in October 2014 and was licensed in January 2015. Monna began working at Noah's Ark in 2014. She loves all animals but is passionate about exotic medicine. Always anxious to learn new skills and techniques, Monna is currently pursuing an interest in veterinary dentistry. In her spare time, Monna loves spending time with her daughter and her husband. She has 2 dogs, a parrot and a hamster. Lexus has always loved working with animals ever since she was a little girl. Growing up she had a variety of animals, ranging from rabbits and birds to cats and dogs. Lexus involved herself in many types of animals lives which led her to want to know more. 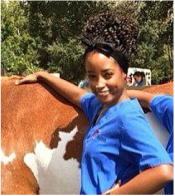 She attended Empowerment South Early College High School before graduating with her degree in Veterinary Technology from the Vet Tech Institute. Lexus did her externship here at Noah's Ark Animal Hospital in March and has been working with us ever since. She enjoys all of our furry friends here and loves to make them feel better while they're here. Freddy joined the Noah's Ark team in 2007 as a kennel technician, and was promoted to kennel manager in 2009. Fellow staff members have coined the term "Freddy bath", because a dog bathed by Freddy smells good for 3 weeks. He has 2 dogs of his own and enjoys fishing in his spare time. Born and raised in Houston, Kim's interest in the all things medical led her to the veterinary industry. She is passionate about building relationships with our patients and our clients. In her spare time, Kim volunteers with the Girl Scouts of America and loves spending time with her family. Kim joined the Noah's Ark team in 2014. Our hip old man! Pumpkin has been with Noah's Ark almost since the beginning. He loves treats and a good nap.